Race driver, Marshal and BMMC Brand Ambassador Dawn Boyd is planning a unique and innovative way to recognise and promote the work of the 2,400 plus volunteers who are vital to motorsports safety. Dawn, who has been racing for 14 years and is also herself a keen marshal, is competing this season in the BRSCC Teekay Couplings Production GTI Championship. 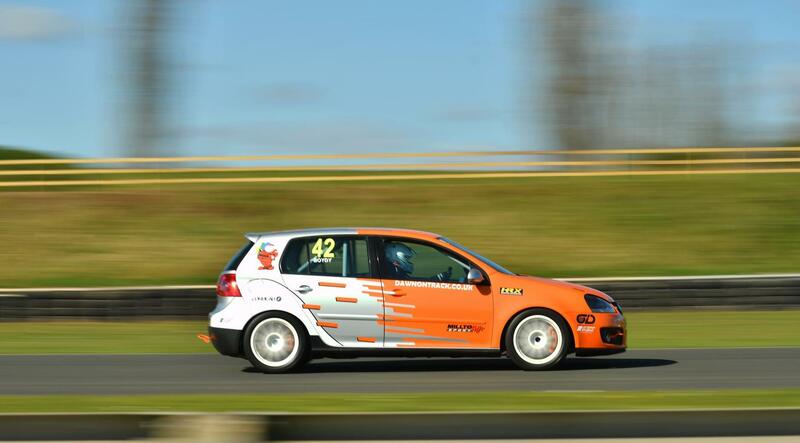 Dawn will race all 13 rounds in her Team B42’s Motorsport Golf GTi Mk5 prepared with an orange colour scheme with BMMC logos and characters adorning the car. Look out for the B42’s Motorsport/BMMC team clothing as well. Dawn is looking forward to meeting marshals on duty at Silverstone this coming weekend (7th April 2019) for the first two rounds of the championship. Marshals who visit Dawn in the paddock this weekend will be welcomed with a hot drink and possibly even a goody bag of items donated by her commercial sponsors and supporters, just look for the orange windsock and chequered flag flying. Speaking about her unique idea to promote BMMC Dawn said: “Marshals are the unsung heroes of motorsport, out in all weathers. I’m a marshal too and have asked supporters to offer donations, not for me, but for marshals. Donated items, like snacks, should be available at marshals sign on, but following some more valuable and exclusive donations, the only fair way to share them is in prize draws.